Item # 308815 Stash Points: 3,495 (?) This is the number of points you get in The Zumiez Stash for purchasing this item. Stash points are redeemable for exclusive rewards only available to Zumiez Stash members. To redeem your points check out the rewards catalog on thestash.zumiez.com. 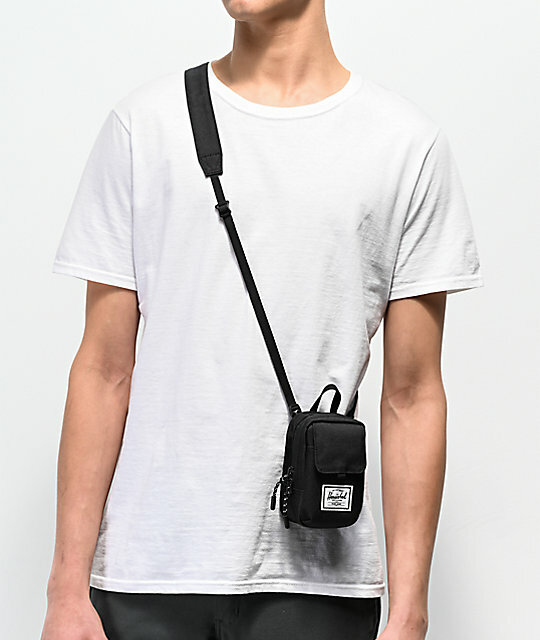 Offering easy access to all of your smaller day-to-day items, Herschel Supply Co. presents the Form Small Black Shoulder Bag. This small, .5L crossbody bag features an internal storage sleeve, a two-way zippered closure with sturdy cord pulls, and an additional front storage sleeve with hook-and-loop fastened lid flap. 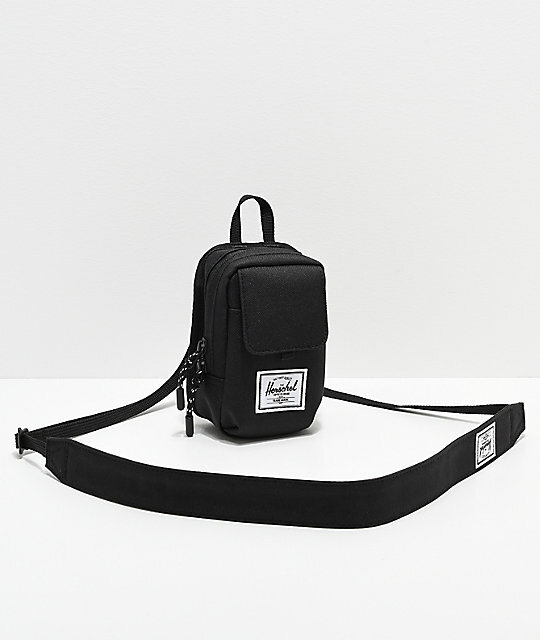 A woven brand label and Herschel's signature striped fabric lines the interior, creating another must-have accessory from Herschel Supply Co.
Form Small Black 0.5L Shoulder Bag from Herschel Supply Co.
Two-way main compartment zipper with Prusik cord pulls. Front storage sleeve with hook-and-loop fastened lid. Clip-fastened adjustable webbing shoulder strap. Belt loop & shoulder strap storage sleeve. Dimensions: 5" H x 3" W x 1.5" D &vert; 12cm x 7.5cm x 4cm.